Hanging my autumn bunting up on the front of my house seems to have brought about a change in the weather. It is most definitely autumn now. Wet, cold and windy means warm socks, boots, coats and hot chocolate, not to mention looking at beautiful autumns, mostly in America, on Pinterest. Yay! 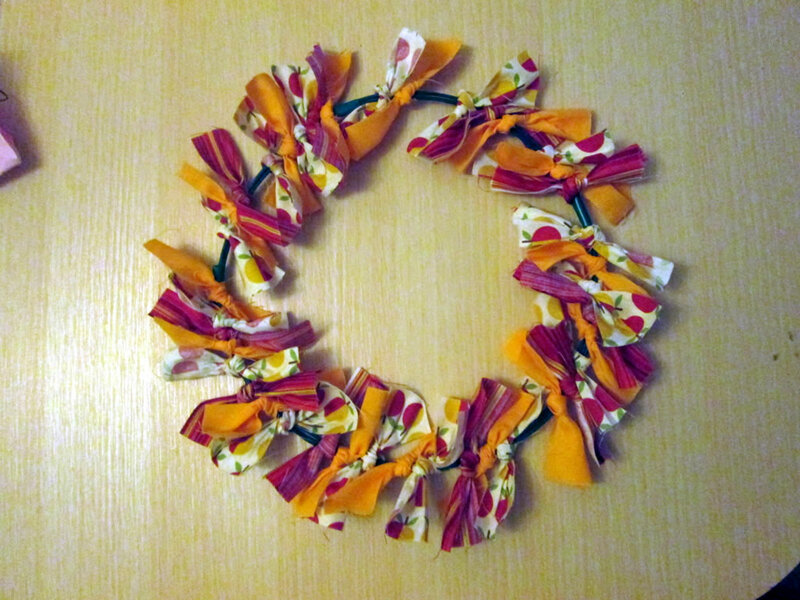 Autumn also means that my floral, summery wreath needs to go into storage upstairs to be replaced by an autumn wreath. 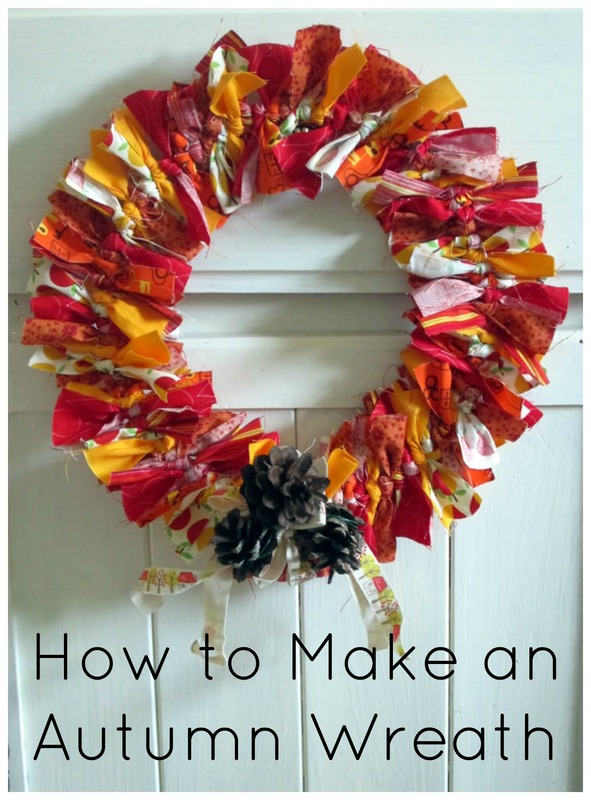 I’ve seen lots of beautiful wreaths on Pinterest ( I’ve got a board of them here) but I decided to make another ruffle rag wreath and to add pine cones and other natural autumnal stuff. 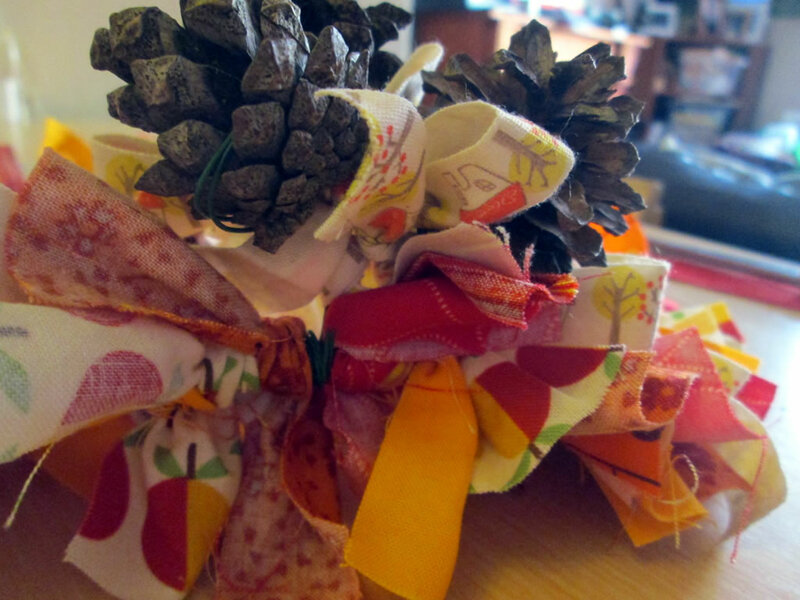 After making the bunting, I had lots of little bits of fabric left over in beautiful autumn colours. 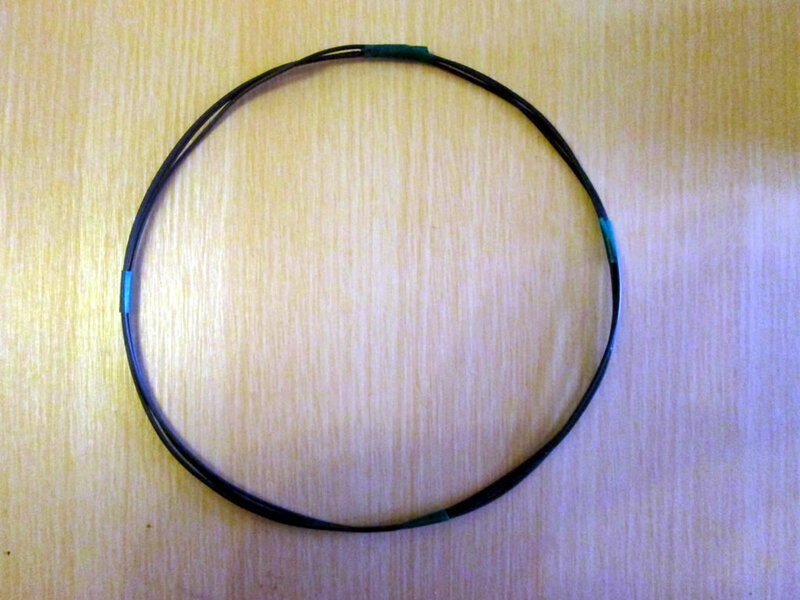 I cut them into slightly shorter strips this time, about 10 cm long and 2 cm wide. 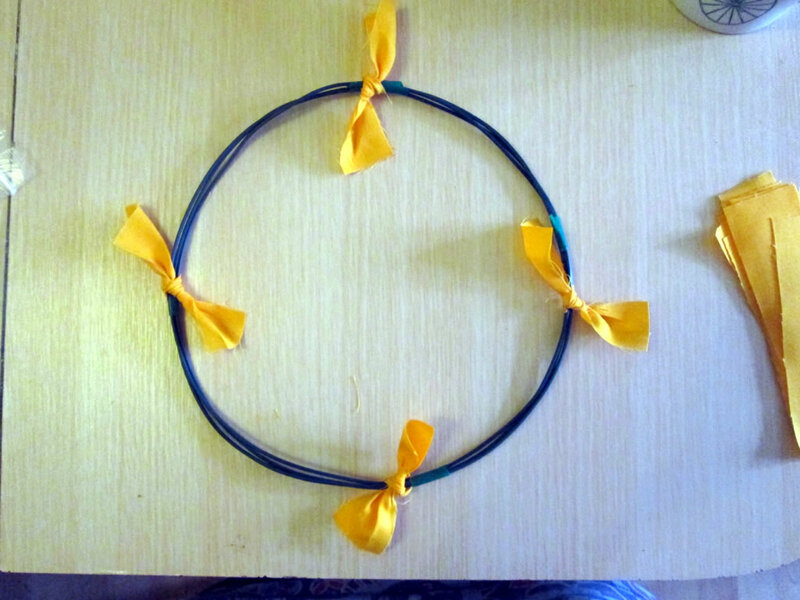 To make the ring, I cut a piece of garden wire long enough to bend into 3 circles 20 cm in diameter. I used electrical tape to hold it in four places. 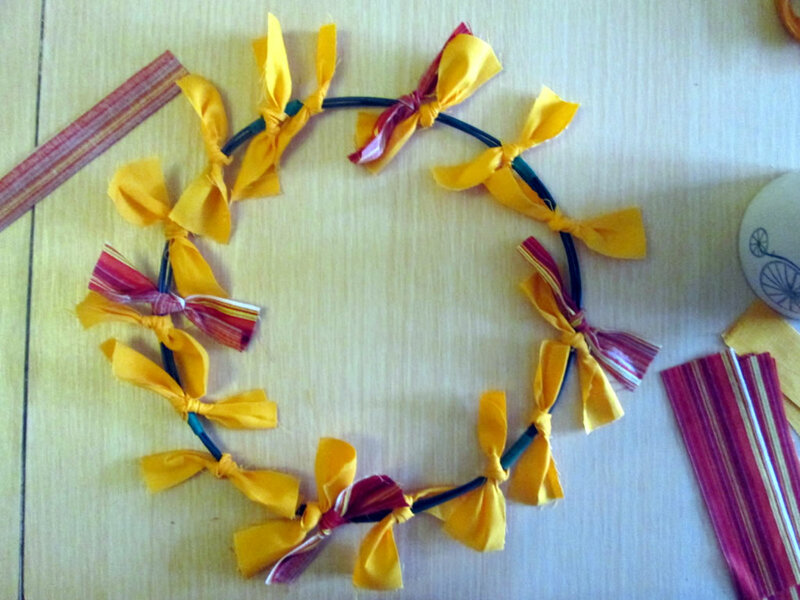 I took one of my pile of strips and began tying them onto the wire ring at regular intervals. Once I had tied them all on, I started with the second pile. I tied those on in the spaces. Then I started with the third pile, until I had used up all the strips and they were all close together with no spaces. 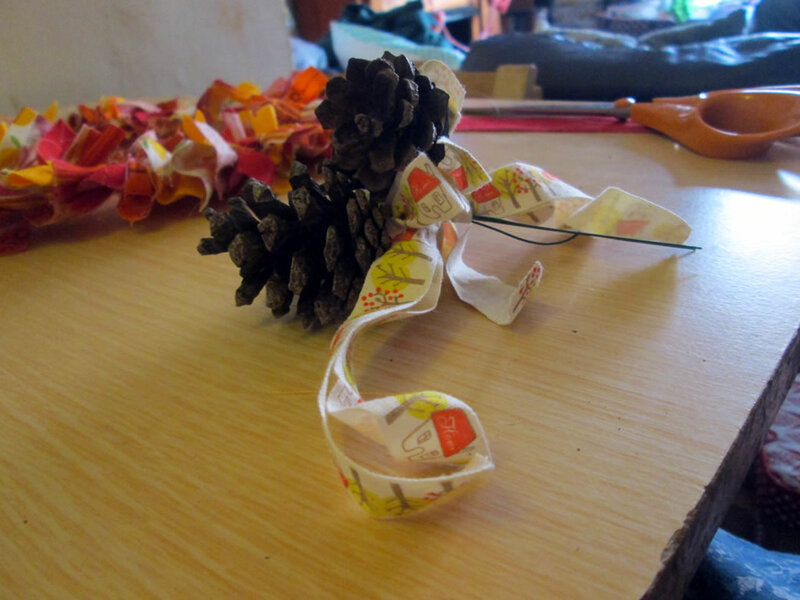 Next I put 3 pine cones each onto a length of florists’ wire and tied some ribbon in a bow around each wire. 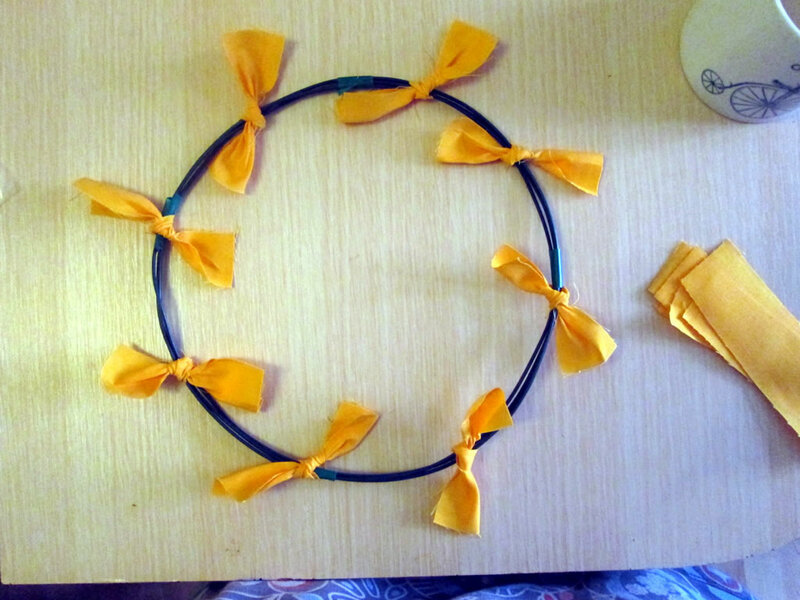 Then I tied the wires together with some more ribbon. 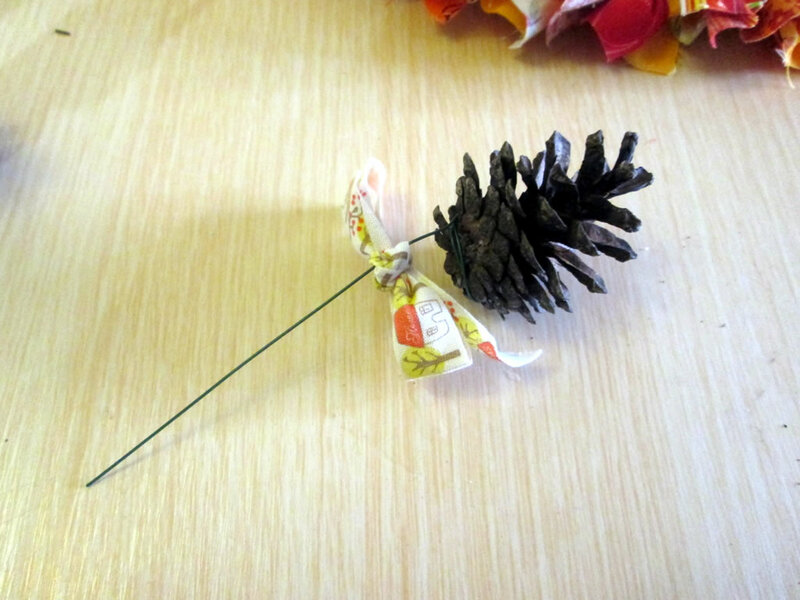 Using the wire, I attached the pine cones and the ribbon to the bottom of the wreath. 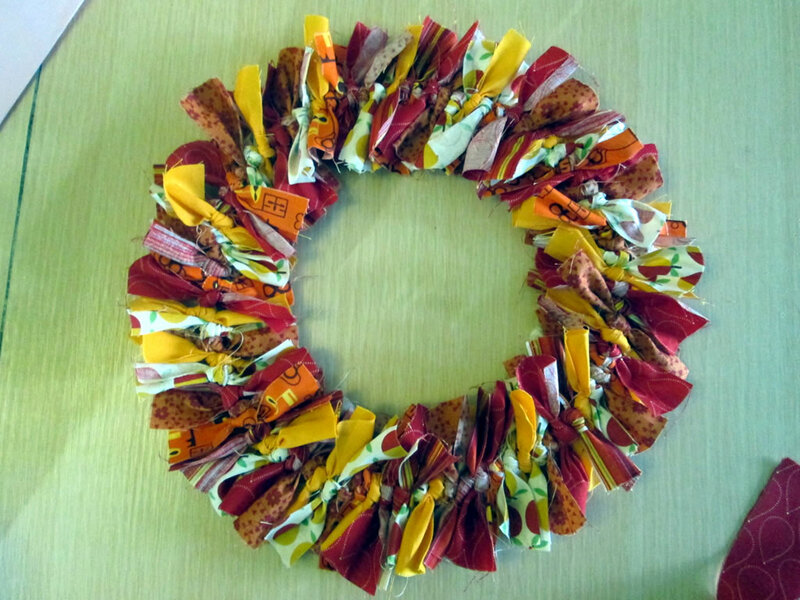 Here is the finished wreath! 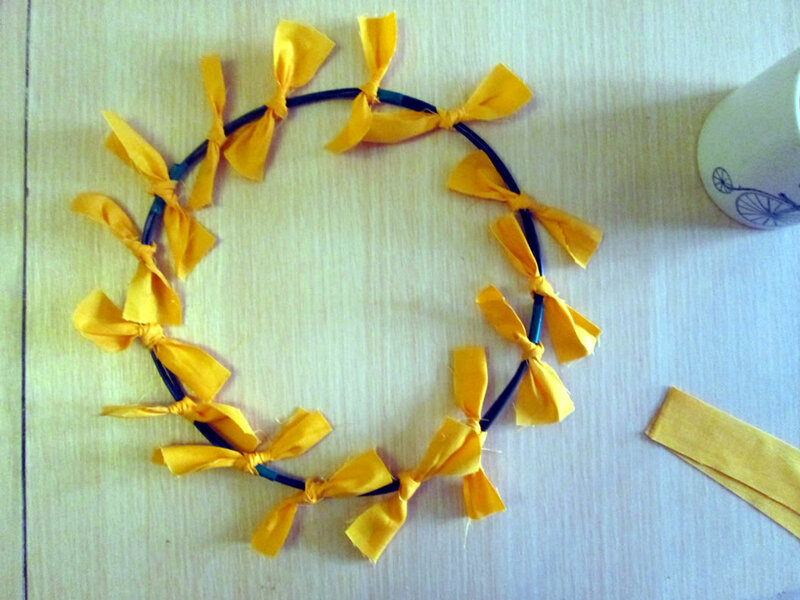 The shorter strips definitely worked better than the longer ones I used to make my spring wreath. I had planned to put lots of berries, pine cones and autumn leaves on the wreath, but I was very happy with how it looked without them!